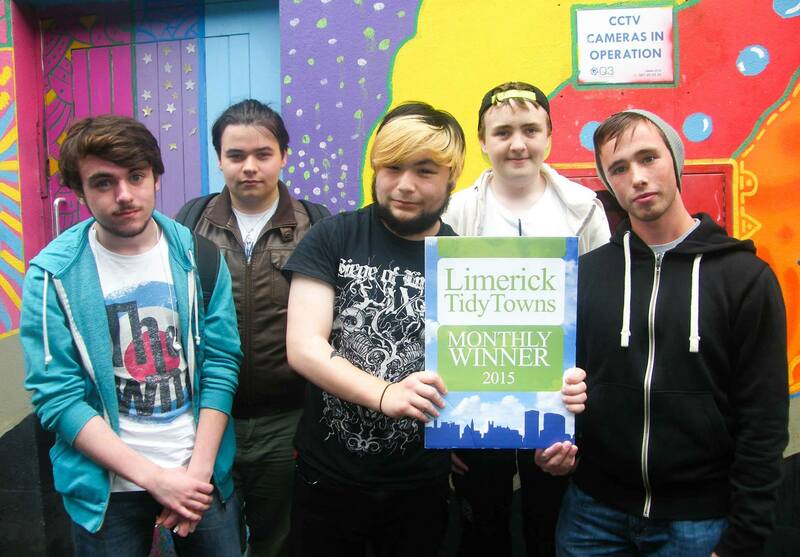 Our monthly award for July has gone to Limerick Youth Service, for their ongoing work in transforming and maintaining what were previously neglected city centre lanes with their unique and vibrant street art and creativity, specifically Post Office and Theatre Lanes which is what initially brought them to the attention of the Tidy Towns team. Pictured at Post Office Lane being presented with the Award by Maura and Sharon of Limerick Tidy Towns are John Real and Bobby Moore, Limerick Youth Service & young people from the Samhains Like Us Youth Group. The work Limerick Youth Service have done at both Post Office Lane and Theatre Lane in transforming them into contemporary urban gardens is something that has been hugely beneficial to the Tidy Towns effort, and we are delighted to be able to thank the team publicly and recognise them for their work. The Lanes project was first done to mark the Limerick City of Culture in 2014 but since then, the Limerick Youth Service team have maintained and enhanced their original work and the lanes look as good now as when first completed. 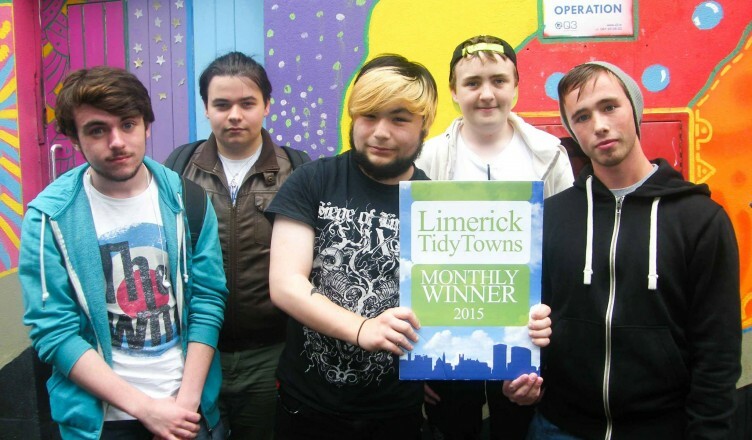 The Tidy Towns team remember only too well the dilapidated condition the lanes were in before Limerick Youth Service turned them into the bright welcoming public spaces they are today, awash with hanging baskets and spectacular street art which showcases the best of Limerick’s youth culture. The street art project that transformed the laneways was part of yearlong youth cultural project called Samhains (prounced sounds) Like Us that coincided with Limerick’s status as City of Culture 2014. The project saw young people from Limerick Youth Service undertake five cultural events throughout the year that included hosting an international youth exchange with a youth group from Tortona, Italy.